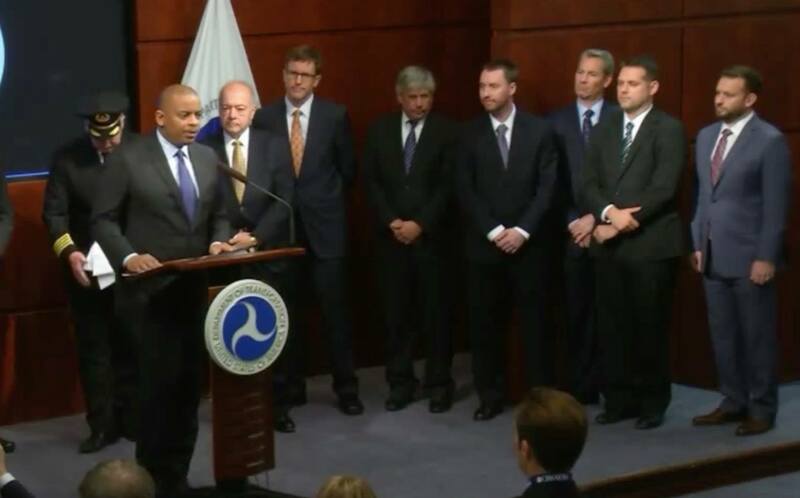 Dr. Gregory S. McNeal (first on right) stands on stage with Secretary of Transportation Foxx during the announcement of the Drone Registration Task Force. Dr. Gregory S. McNeal has been named to the Federal Aviation Administration’s Registration Task Force. The 25-member group will advise the administration on its proposed drone registration rules. Department of Transportation (DOT) Secretary Anthony Foxx has set a deadline of Nov. 20 for the Task Force to complete its recommendations and work is already underway. The group will meet formally from Nov. 3-5 before developing recommendations on a streamlined registration process and minimum requirements on which unmanned aircraft should be registered. Given the urgency of this issue, the DOT and FAA will move expeditiously to consider the Task Force’s recommendations. The group is composed of experts from drone manufacturers, aviation associations, retailers and others, providing a good variety of perspectives.